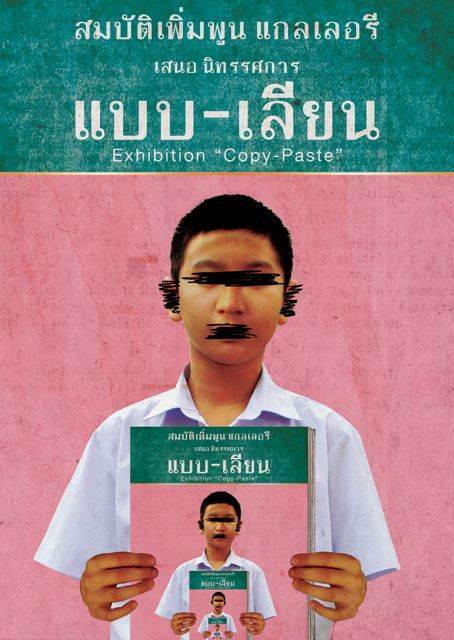 “Copy-Paste” the art exhibition explores the problems in Thailand’s education system, where learning is centered around memorizing from text books and following instructions from teachers/educators. Students are not encouraged to be independent and creative, and critical thinking while discovering one’s individual strengths are not commonly promoted. Through the exhibition, 7 artists use art to tell relay their experiences in Thai schools and create a dialogue with their audiences about whether they experienced the same thing.